The Samsung Galaxy Tab S2 8.0 is the smaller offering of the recently unveiled Samsung Galaxy Tab S2 family of Android tablet devices. 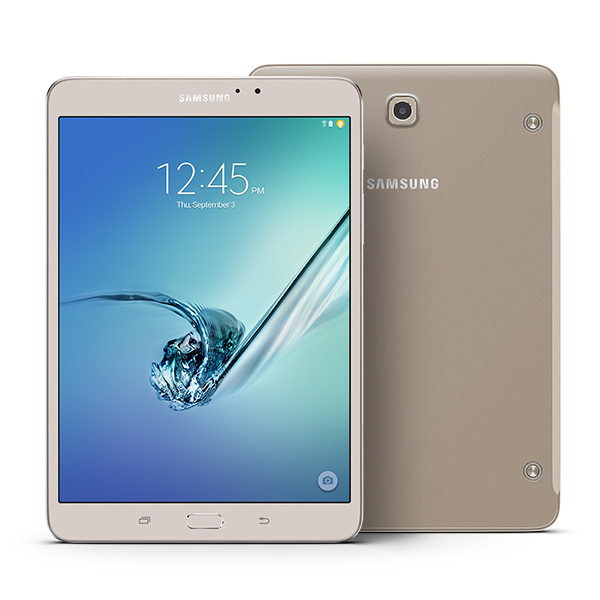 The Samsung Galaxy Tab S2 8.0 sports an 8-inch touchscreen display and has a starting price of $399. 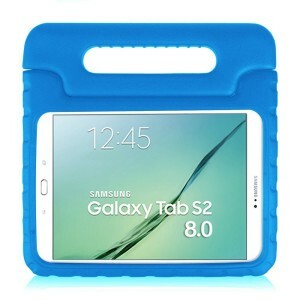 Listed below are the top 10 best Samsung Galaxy Tab S2 8.0 cases and covers. 1. 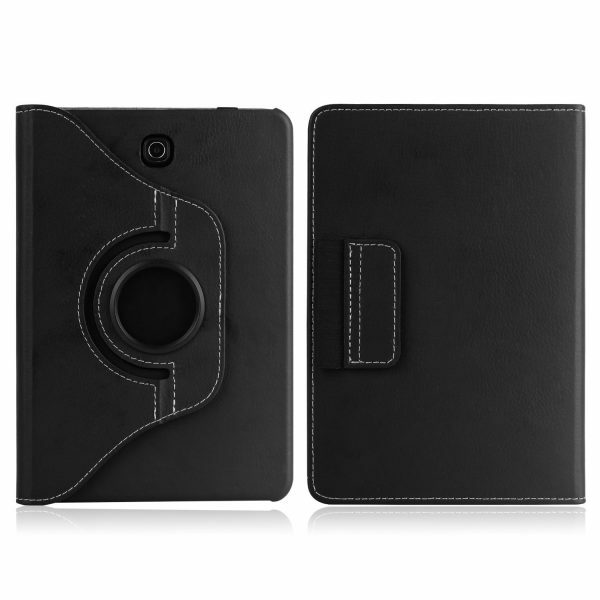 ProCase Samsung Galaxy Tab S2 8.0 Leather Stand Folio Case Cover: The ProCase Samsung Galaxy Tab S2 8.0 Leather Stand Folio Case Cover is the best case for your brand new tablet device. The ProCase Samsung Galaxy Tab S2 8.0 Leather Stand Folio Case Cover looks great and supports multiple viewing angles, auto wake/sleep feature and even has a built-in stylus holder. 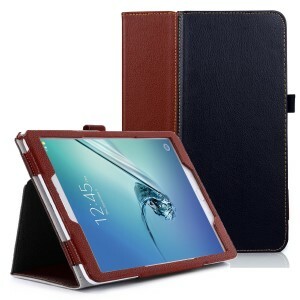 The ProCase Samsung Galaxy Tab S2 8.0 Leather Stand Folio Case Cover is available in 3 colors. 2. Supcase Unicorn Beetle Pro Series Samsung Galaxy Tab S2 8.0 Case: If you need top notch protection for your brand new tablet device, the Supcase Unicorn Beetle Pro Series Samsung Galaxy Tab S2 8.0 Case is a great choice. The Supcase Unicorn Beetle Pro Series Samsung Galaxy Tab S2 8.0 Case is impact resistant, shock absorbent and the built-in screen protector prevents scratches. The Supcase Unicorn Beetle Pro Series Samsung Galaxy Tab S2 8.0 Case is available in 3 colors. 3. Fintie Blade X1 Samsung Galaxy Tab S2 8.0 Keyboard Case Cover: The Fintie Blade X1 Samsung Galaxy Tab S2 8.0 Keyboard Case Cover is a very sleek and stylish keyboard case for the Samsung Galaxy Tab S2 8.0. 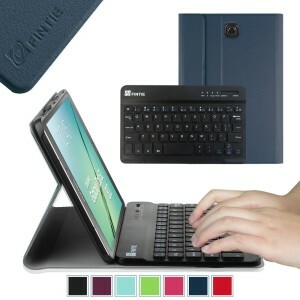 The case features a detachable Bluetooth keyboard compatible with other Android devices. The Fintie Blade X1 Samsung Galaxy Tab S2 8.0 Keyboard Case Cover is available in 7 different colors. 4. 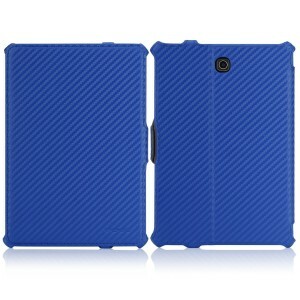 RooCase Origami 3D Samsung Galaxy Tab S2 8.0 Slim Shell Case Smart Cover: The RooCase Origami 3D Samsung Galaxy Tab S2 8.0 Slim Shell Case Smart Cover has a soft touch matte finish and the shell case provides optimum protection to the Galaxy Tab S2 8.0 from drops, bumps and scratches. 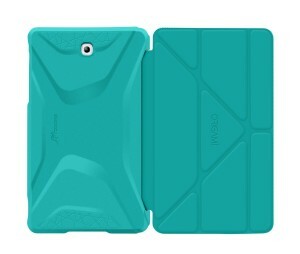 The case also easily morphs into landscape, portrait and typing orientation. The RooCase Origami 3D Samsung Galaxy Tab S2 8.0 Slim Shell Case Smart Cover is available in 3 colors. 5. MoKo 360-Degree Rotating Cover Case for Samsung Galaxy Tab S2: The MoKo 360-Degree Rotating Cover Case for Samsung Galaxy Tab S2 makes it easy to adjust the viewing position with its 360-degree rotating swivel. This smart case also supports auto wake/sleep feature. The MoKo 360-Degree Rotating Cover Case for Samsung Galaxy Tab S2 is available in 5 different colors. 6. Fintie Samsung Galaxy Tab S2 8.0 Kiddie Case: If your Tab S2 8.0 tablet device is used primarily by children, the Fintie Samsung Galaxy Tab S2 8.0 Kiddie Case is an excellent option. The Fintie Samsung Galaxy Tab S2 8.0 Kiddie Case is made with dense EVA foam to provide extreme drop protection. 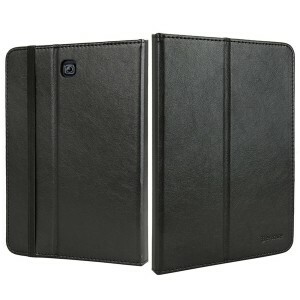 The lightweight case also has a handle to conveniently carry it around. The Fintie Samsung Galaxy Tab S2 8.0 Kiddie Case is available in 6 colors. 7. 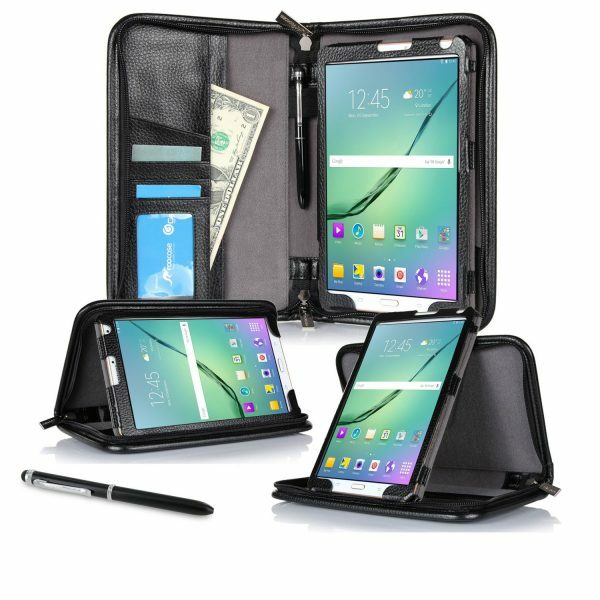 Infiland Samsung Galaxy Tab S2 8.0 Book Case: The Infiland Samsung Galaxy Tab S2 8.0 Book Case is custom-made for the Samsung Galaxy Tab S2 from premium synthetic leather. The built-in stand offers three viewing angles. The Infiland Samsung Galaxy Tab S2 8.0 Book Case is available in 8 different colors. 8. 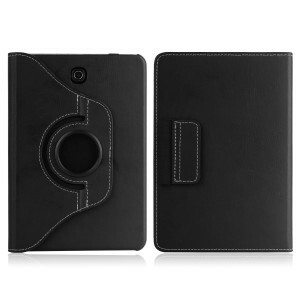 RooCase Executive Portfolio Samsung Galaxy Tab S2 8.0 Genuine Leather Case Cover: The RooCase Executive Portfolio Samsung Galaxy Tab S2 8.0 Genuine Leather Case Cover is equipped with card slots, storage pockets and a hand strap. The RooCase Executive Portfolio Samsung Galaxy Tab S2 8.0 Genuine Leather Case Cover offers both portrait and landscape positions. 9. 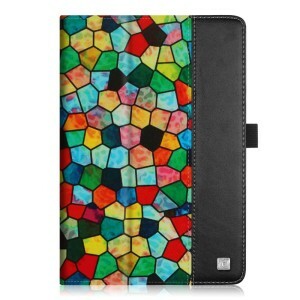 Fintie Samsung Galaxy Tab S2 8.0 Folio Case: The Fintie Samsung Galaxy Tab S2 8.0 Folio Case is available in a lot of unique and interesting designs. The features include auto wake/sleep and the ability to flip the cover into a horizontal viewing stand. 10. 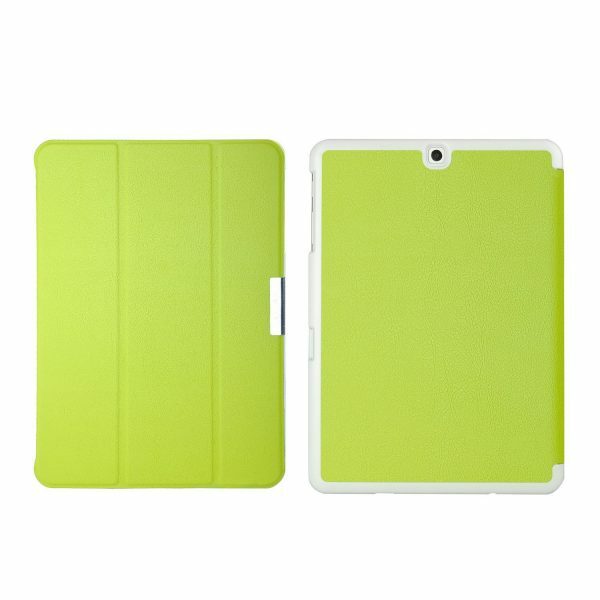 Sparin Samsung Galaxy Tab S2 8.0 Case: The Sparin Samsung Galaxy Tab S2 8.0 Case is ultra-slim, lightweight and looks elegant. 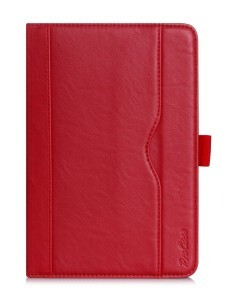 The Sparin Samsung Galaxy Tab S2 8.0 Case is available in 4 colors. 11. MoKo Samsung Galaxy Tab S2 8.0 Slim-Fit Multi-Angle Folio Case Cover: The MoKo Samsung Galaxy Tab S2 8.0 Slim-Fit Multi-Angle Folio Case Cover sports an unique and attractive carbon fiber design. The features include auto wake/sleep, multi-angle stand and hand strap. 12. 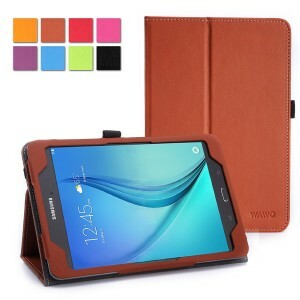 WaWo Samsung Galaxy Tab S2 8.0 Smart Cover Folio Case: The WaWo Samsung Galaxy Tab S2 8.0 Smart Cover Folio Case is made from high quality PU leather and looks elegant. The WaWo Samsung Galaxy Tab S2 8.0 Smart Cover Folio Case is available in 4 different colors. 13. 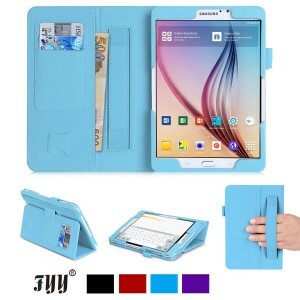 FYY Samsung Galaxy Tab S2 8.0 Premium Leather Case Stand Cover: The FYY Samsung Galaxy Tab S2 8.0 Premium Leather Case Stand Cover does a lot of things for a lot less money. 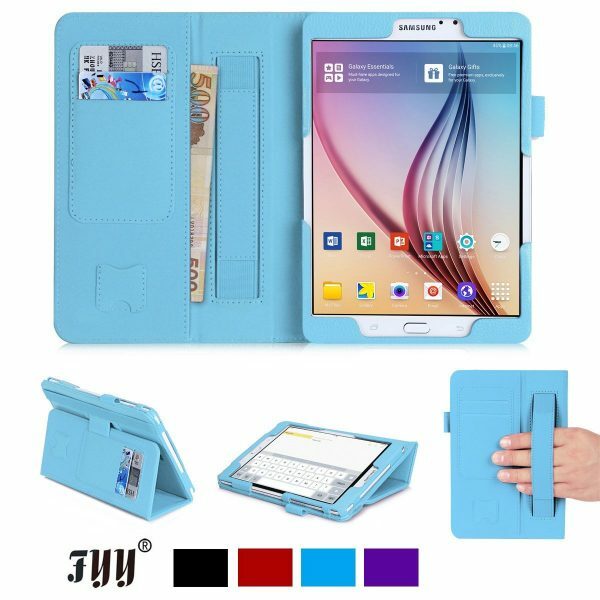 The FYY Samsung Galaxy Tab S2 8.0 Premium Leather Case Stand Cover gets card slots, cash pocket, elastic hand strap and a stylus holder. The FYY Samsung Galaxy Tab S2 8.0 Premium Leather Case Stand Cover is available in 4 different colors. 14. IVSO Samsung Galaxy Tab S2 8.0 Case: The IVSO Samsung Galaxy Tab S2 8.0 Case is ultra-slim, lightweight and made from premium PU leather. 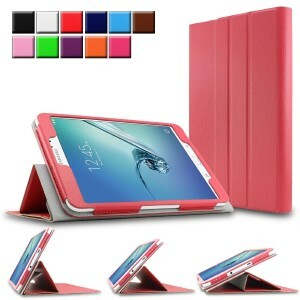 The IVSO Samsung Galaxy Tab S2 8.0 Case serves as a multi-angle stand and is available in 5 different colors. 15. Evecase Samsung Galaxy Tab S2 8.0 Case: The Evecase Samsung Galaxy Tab S2 8.0 Case offers a slim fit to your tablet device. The Evecase Samsung Galaxy Tab S2 8.0 Case also functions as an adjustable stand with multiple viewing angles. This wallet case has card slots and a cash pocket for your convenience. 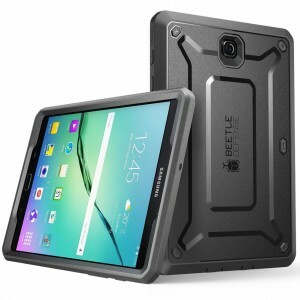 These are the top 10 best Samsung Galaxy Tab S2 8.0 cases and covers.